I love Bodrum! 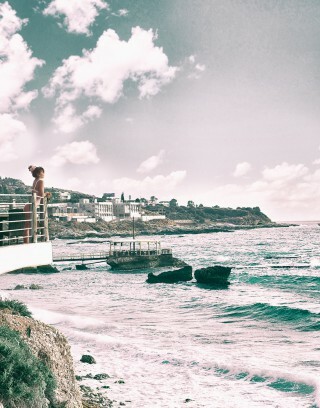 This long stretched strip of coastal beauty in the South-West of Turkey has stolen my heart many years ago. It offers the best of all worlds: Luxury decadence, amazing nightlife, food, shopping, stunning beaches and scenery, and my favorite detox center where I return every year for my 5-day fast. So Bodrum has something for everyone and I highly recommend paying it a visit. Actually when I say Bodrum, I mean the city itself but also the surrounding beach towns like Göltürbükü, Bitez, Yalikavak and everything on the coastline running from Bodrum all the way around to Torba. 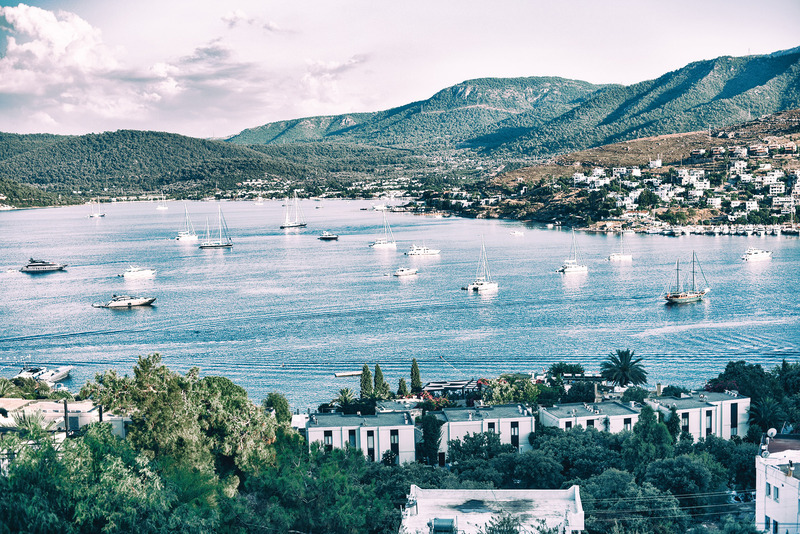 Getting to Bodrum is easy, most budget flights depart from Istanbul’s second airport Sabiha Gokcen, but you can also fly from the main Ataturk hub. Both flights take around 1,5 hour. I recommend checking www.skyscanner.net for cheapest and best flights. I actually do not recommend staying in Bodrum town, it’s loud, busy and everyone wants to sell you stuff. It’s nice for a visit, a stroll around the marina, but one day is plenty. I much prefer Göltürbükü, which is much more quiet and really great for beach holidays, boat trips, great seafood, mezzeh and wine and a wonderful summer breeze. When it comes to Hotel stays, I think that depends on budget and preference, which is why I am not recommending specific hotels in this article. I like staying at The LifeCo, but that is a designated detox center with healthy food only. I imagine most people don’t care for that, so I recommend seeing options on Booking.com, and look in Göltürbükü or Türbükü, close to the beach, great restaurants, cute shops and easy to cruise around from there. All hotels and guesthouses in that area are nice, so it’s a matter of personal preference and doing a bit of research. A beautiful strip of restaurants, cafe’s and Turkey’s most luxurious shops along the Marina. Really nice to stroll around during the day (if it’s not too hot) or in the evening combined with a nice dinner. If you’re into touristy things, definitely go and visit the Bodrum Castle. If not, a visit to Bodrum town will do. An abundance of shops, restaurants, bars and nightlife. I recommend it for a day or two. A mostly local area full of fish restaurants and arts & crafts shops. Really cozy area and has some cute guesthouses and a beautiful beach as well. Torba’s beaches are mostly attached to luxurious hotels and beach clubs. I think it’s worth it to visit one of them for a day. As a Dubai resident I love the vibe of private resort beaches, but if it’s not your cup of tea to pay for a beach, there’s also a private entrance to Torba beach close to Voyage Hotel. For luxury treatment I recommend Rixos or Nikki Beach. Definitely a must to go for a nice seafood dinner and pick a variety of yummy mezze (loads of veggie options available as well). I love the strip of restaurants in the Bodrum Marina, but also Göltürbükü beach, or any of the local restaurants in Gümüşlük and other beach towns. You can eat good fish anywhere in Bodrum, try to look for a nice local restaurant and eat your heart out. I’m a big fan of roaming around nature golden hour. Nature on the Bodrum peninsula is still reasonably wild and un-touched, and often you don’t bump into anyone except for a few dogs and chickens. Just wander out of your hotel into the wild and soak up nature’s goodness and Bodrum’s beautiful views. Find a cute cafe, take your book or magazine, and have an afternoon of coffee, olives, Turkish pastry’s and proper chill time. There are many cute cafe’s around Türbükü, and it’s such a nice and chilled place. Try Mia Bakery just a little walk down from the Migros. They have smoothie bowls, amazing coffee, the BEST olives I’ve ever eaten and a cute little terrace to spend a breezy summer afternoon. A really lovely way to spend the day is by taking a boat trip around the Bodrum Peninsula. Usually these trips include food and snacks and have different time options, i.e. a full day or a few hours, and they stop at different bays and little islands. Check out Bayside & Tora company for some ideas and rates. 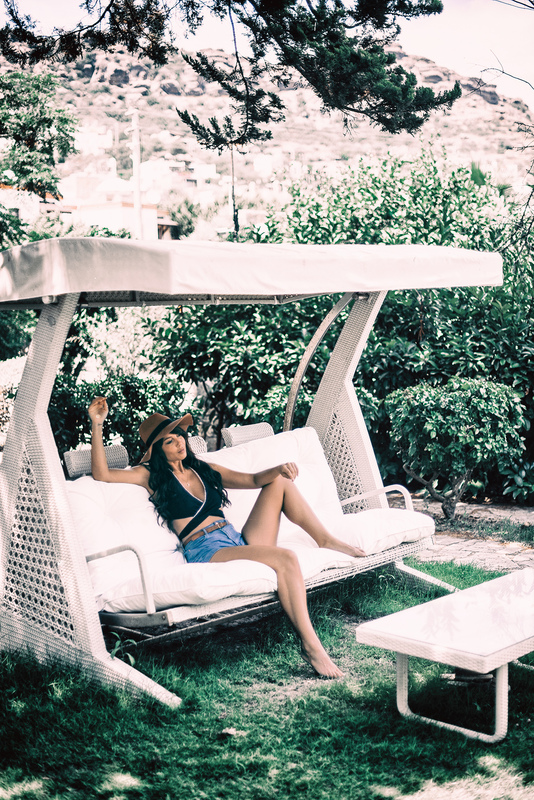 I can give a ton more options for things to do, but I think with daily beach visits, strolls and seafood dinners and a few extra activities, a trip to the Bodrum Peninsula is a great way to relax, destress and refuel. I hope you enjoyed this article and please don’t hesitate to comment below with questions. Enjoy your Bodrum stay! You look really fantastic as always! The pics are amazing.